and we are filled with dread. and maybe some day-old bread? You see, we are sad. This entry was posted in Animals, birds, Nature, photography, Poetry, wildlife, Winter and tagged food, haiku, Ice, Snow. Bookmark the permalink. Beautiful shot of the blue jay! I love the plumage of blue jay! Your words are very eloquent and go very well with your photographs! Thanks for sharing! 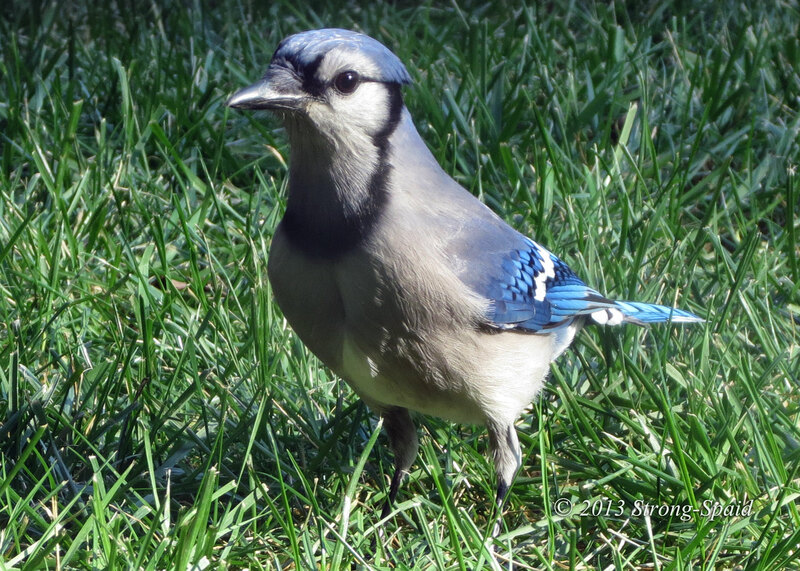 When I saw this blue jay come right up to my back door, I knew bad weather was on its way. The blue jays usually do not come this close. 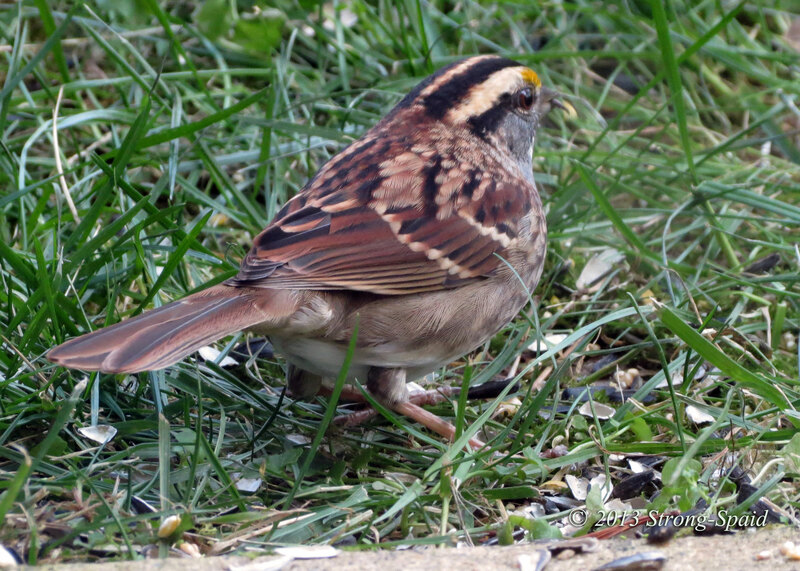 There were still a few uneaten sunflower seeds in the grass, and he was more afraid of hunger than he was of me. 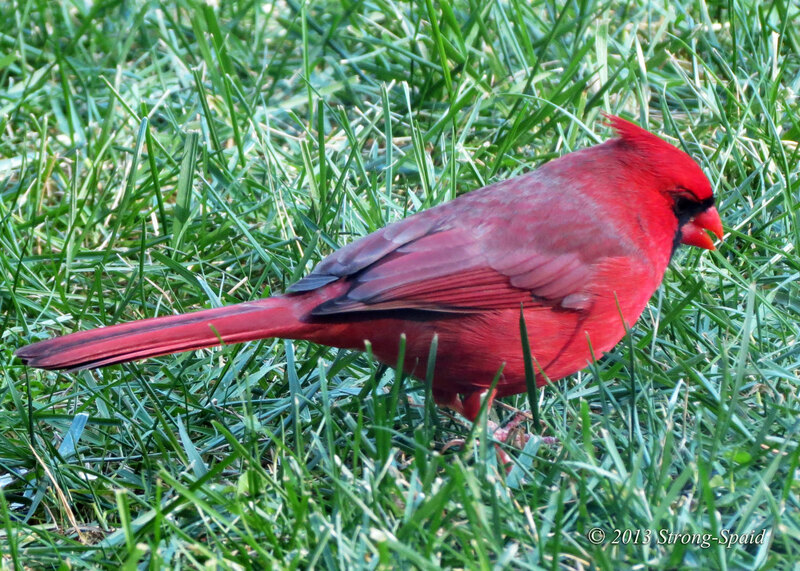 The same with the male cardinal—also more frightened of being hungry than he was of being close to me. I took these photos yesterday….and today there was an ice storm. Nature is a better predictor of weather than man will ever be! Fabulous photography Mary – and I love your birds with stories of things to come and letting you know to feed them more to cope with winter. Did you get ice and snow? We got a little bit of ice, but now it is raining. Very pretty shots! THe birds do seem to know exactly when the dangerous weather is due, don’t they! They have amazing survival strategies! Wonderful photo & prose! Smart birdies. Smarter than me, that’s for sure. The day before the ice storm, it was 64 degrees and sunny. I would have never seen the ice storm coming until it caught me without my coat on! Beautiful photos of the birds, you definitely have a peaceful spirit, the animals just love you to take their pictures. Well my power keeps going off and on, now it seems to just go off. Don’t think it had much to do with my peaceful spirit. 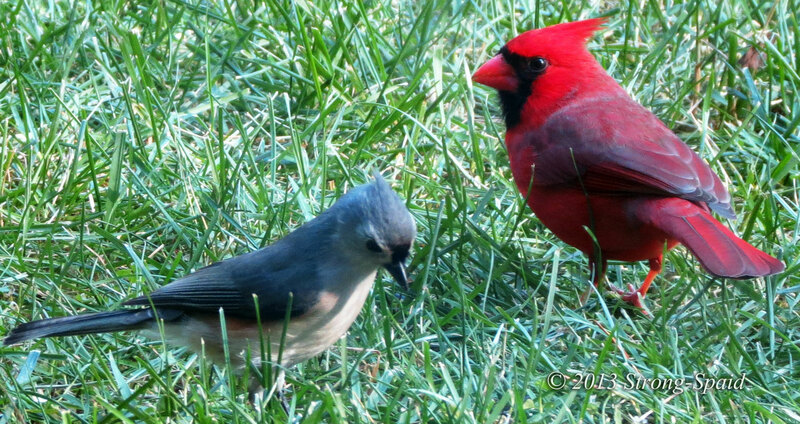 They were hungry and more worried about the coming change in the weather…than they were about my close proximity. Hunger levels the playing field. And, most importantly, how do you make it? We heat up a little bit of dripping (slowly, just to melting) and mix in a lot of wild bird seed, then set it in containers (I use old margarine pottles), put it in the fridge to set and put one out on a little shelf we have built on a tree for whenever the birds are hungry. lol…awesome photos and your words compliment these fellows well! This is really cute to be honest. I love the photos, they are really perfect. Thank you for the compliment, crafted girl! Thanks for the advice…..I didn’t think of raisins or apples. Great idea and I actually have some of those too! I do my best to get the picture before the subject flies away or runs off.. Thank Elena. I am surprised the Blue Jay stood still long enough for me to get a photo that was not blurred. He was hungry and kind of nervous about me being there. It is brilliant, pretty birds. almost every day— Red, blue, brown, grey…. Nature is quite an artist! winter is really harsh at your place! The weather is not that bad in comparison to the places that are farther north. But, it is still a little too cold for me! Thanks! The birds aren’t worried anymore, now that it is spring. Food everywhere!